Do you have a sprinkler system installed on your property? If so, you know how convenient it is to keeping your plants and grass green and healthy. However, if your irrigation system is inefficient, it may wind up wasting water and increasing your water costs. In fact, up to 50 percent of all water produced by your sprinkler system may be wasted because of factors such as faulty system installation, evaporation, improper system design, poor maintenance or the wind. The good news is, there are a few steps you can take to help improve the efficiency of your sprinkler system. Keep reading to learn what these are. Today, there are more irrigation options than ever before. New technology allows you to control watering based on the season, and even by zone. This is extremely beneficial, as plants have varying water requirements every season and may differ from one zone to the next. If you water the same way every season and in all parts of your yard, it may result in serious issues. A smart water controller will automatically adjust the amount of water that’s used on the property, based on rainfall. They work by taking data from local weather stations, then adjusting the watering amount to reflect the real time rainfall in your location. This can help you save between 20 and 50 percent off your water usage. Did you know your sprinkler heads may be the culprits when it comes to wasted water? It’s true. In fact, it is estimated that you may be able to save up to 30 percent of all irrigation water just by replacing the sprinkler heads with the newer, high-efficiency nozzles. These are uniquely designed to help minimize wind drift and to spray the water evenly over the plants and lawn. A traditional sprinkler isn’t efficient in areas such as a raised planting bed or a rose garden. They aren’t effective for shrubs or trees either; however, drip irrigation systems are. A drip system is offered in several different options, ranging from bubbler irrigation to micro-spray jets and these are extremely efficient in the locations mentioned above because they are able to target individual plants, as well as clusters of plants with a slow, direct flow of water. The water goes directly to the roots, soaking in quickly and minimizing runoff and evaporation. One of the best ways to improve the efficiency of any sprinkler system is to have it inspected by the professionals at least once a year. Ideally, these inspections should be done at each change of season. The professionals will find any small issues, make repairs and help you avoid more extensive or expensive issues down the road. 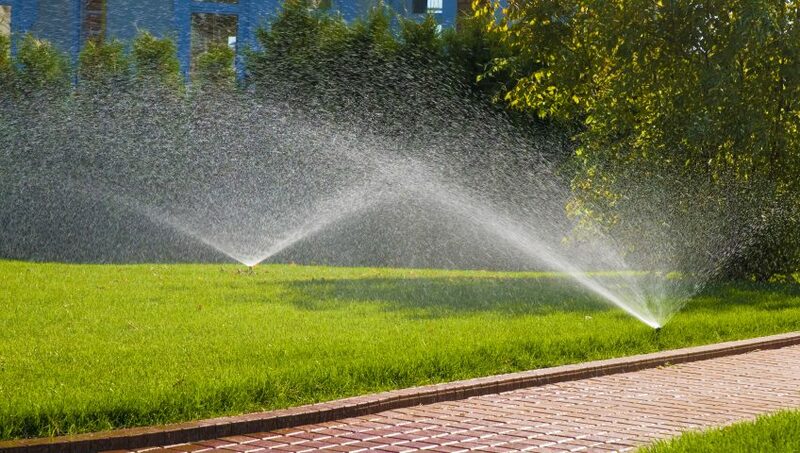 If you want to improve the efficiency of your sprinkler system, contact our team of professionals at The IDL Company today. We are here to help with any irrigation need you may have.